It's no secret that Clickstay loves to travel. We may provide a place for you to rest your weary head at the end of a long day, but we also want to inspire you to see as much of the world as possible. This month Marketing Assistant Leanne took a little trip to the cobbled streets of Barcelona, and found some of the most intriguing sights to help you plan a thrilling trip to Catalonia’s capital city. A menace to the community? Or an unfortunate reality to any major city? Graffiti exists in most cities in Europe. But, Barcelona has developed its own unique idea behind street art. Many businesses use it as a novel and exciting way to promote themselves. 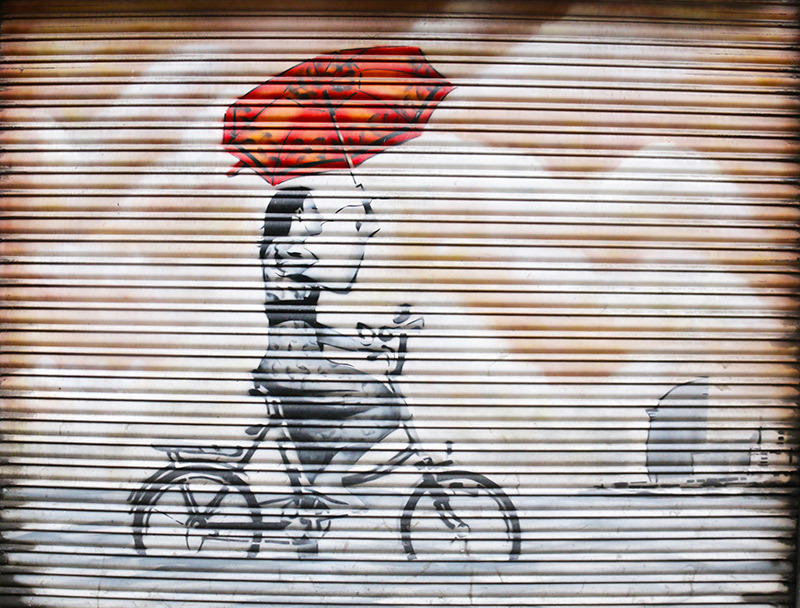 You’ll find great pieces of artwork spray painted onto the side of buildings and on security shutters of closed shops. The quality and creativity of the artwork give Barcelona a cool edge that is rare to find in other European cities. 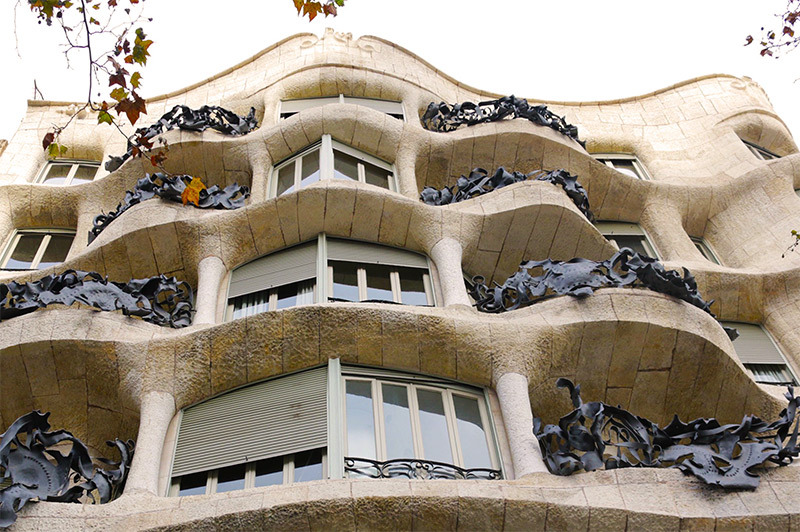 As you gradually stroll along the cobbled streets you’ll soon discover a range of ingeniously magnificent architecture that you’ll only find in Barcelona. The strange bubble-like buildings are a marvel and they line the streets of Barcelona’s busiest areas. It’s hard to take your eyes off them and when you arrive home you’ll find hundreds of pictures of one building on your phone. It’s both fascinating and beautiful. St Mark’s in Venice, Trafalgar Square in London – at one time or another these were the places people went to feed the pigeons that now swarm our streets. But, in Barcelona this tradition is still alive. 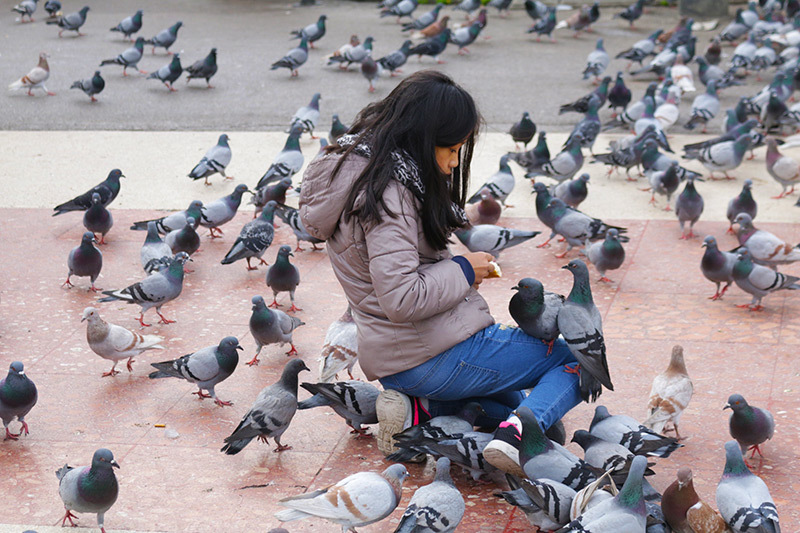 Make your way to the Plaça de Catalunya, where you’ll find people selling bird food for you to give your new feathered friends. No doubt you have been told of the wonders of Park Guell. Many people who have visited Barcelona return and proudly show you the obligatory photo of the mosaic balcony looking out over all of Barcelona. But, there’s so much more to this unusually splendid park than this one sight. In fact, why bother going in? You could spend hours roaming around and coming across some of the most stunningly unexpected sights imaginable, from trees growing in unusual places to magnificent orange trees in front of a circular building. An unusual gem Leanne stumbled upon purely by accident. These are the library gardens and they are the perfect place to take the weight off your feet for a few minutes, while taking in some of Barcelona's more conventional architecture. 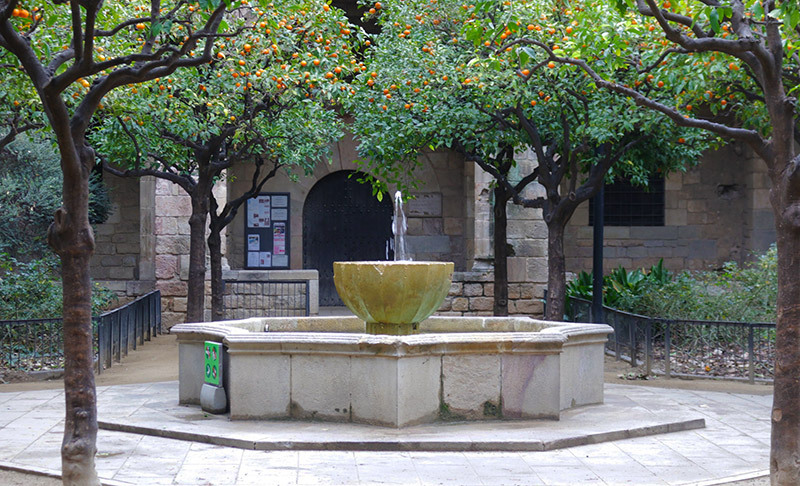 It's a beautifully calming area, lined with orange trees and a light, trickling fountain in the centre. So, what are you waiting for? 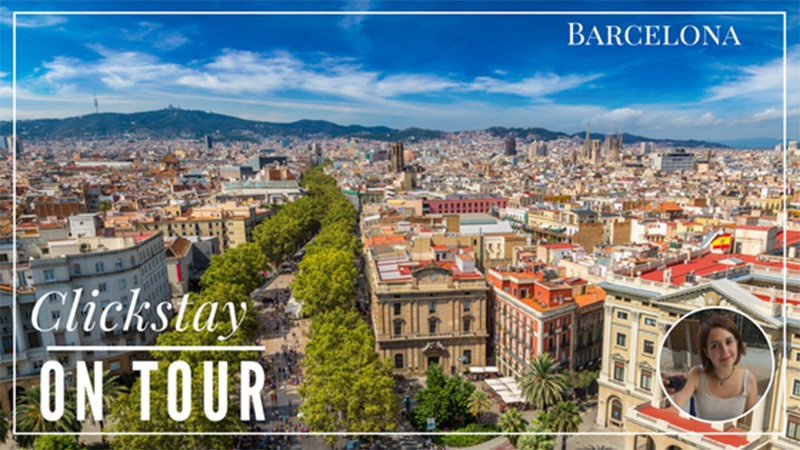 Don’t let Leanne have all the fun, go out and see Barcelona for yourself!